If you were ever looking for a fast computer with brand new hot hardware and cool looks - then this might be for you. 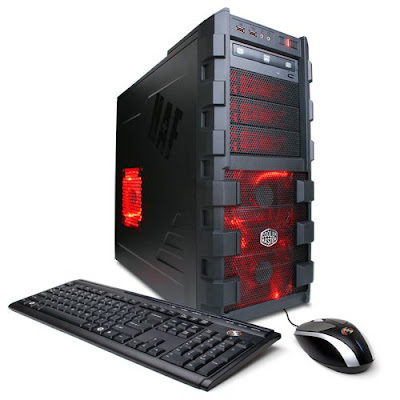 CyberpowerPC has hardware suitable for gamers and great looks in same package. 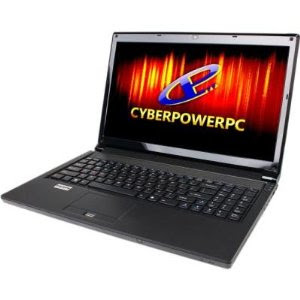 Let's present the best quality desktop computer and laptop available at July 2011 from CyberpowerPC! This will respond to your future gaming needs with raw power and it looks cool also! If you're interested in lesser version then I suggest you type "CyberpowerPC" to Amazon.search widget on the right frame on this site. There's plenty of cheaper choices available but this is the prime. Runs with Intel Core i7 980X Extreme CPU, Intel X58 Chipset Motherboard, 12GB (6 x 2GB) DDR3 1333 Triple Channel Memory, 2 TB (1 x 2 TB) SATA III 6.0 Gbps 7200 RPM Hard Drive, 24x DVDRW, AMD HD 6870 1GB PCI Express Graphics, 950 W Power Supply, Coolermaster HAF 912 Gaming Case, 120mm Liquid Cooling System, Microsoft Windows 7 Home Premium 64 bit Operating System, USB 3.0/2.0 Support, Xtreme Gear USB Keyboard and Mouse, Lifetime Toll Free Tech Support and Customer Services at 888-937-5582 or Email to techteam@cyberpowerpc.com for more. It's easier and more relaxing to sit at your sofa with a laptop than on a computer chair. But most laptops cannot handle modern games so well - this one can. High standard parts included. Email to techteam@cyberpowerpc.com for more.